Sonoma County contains so many varied climates and appellations that growers can find the perfect home for almost every varietal imaginable. Vermentino, a relatively obscure grape varietal in the U.S. is grown by one of the pioneers of Carneros, Francis Mahoney. Just as Roxane was a character dedicated to her ideals, Mahoney planted Vermentino years ago even though people told him he shouldn’t. 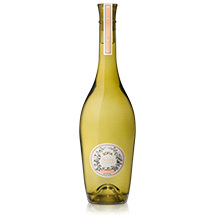 For this wine, we blended Vermentino with Vernaccia, another Italian varietal that has long been popular in Sardinia, where the coastal climate creates a light, refreshing wine to pair with seafood. 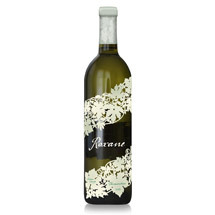 The Vermentino and Vernaccia that create Roxane are grown in three Sonoma County vineyards that experience a similar marine influence, producing crisp, vibrant expressions of the wine. As with many white varietals, Vermentino and Vernaccia are harvested in the early morning hours, quickly pressed and fermented in stainless steel to retain the varietal’s natural acidity. We experienced an ideal vintage for our debut release of Roxane, where the season started with a cold, rainy winter that segued into warm spring and summer months. The vineyards benefitted from diurnal conditions where chilly evenings contrasted warm daytime temperatures. This gave the vines extra hangtime to accumulate flavor intensity while maintaining a good balanced acidity, which is important to this wine. Light and graceful on the palate, Roxane boasts lively fresh cut citrus aromas crowned by just a kiss of orange blossom. 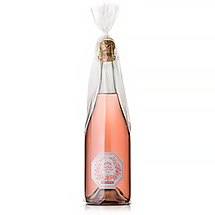 White and pink grapefruit flavors are backed by sweeter notes of tropical fruits, creating a well-balanced palate that is both crisp and fleshy. The juicy flavors finish fresh and clean.